Deadline reports that Mark Wahlberg and producing partner Stephen Levinson have signed on to produce The Roman, a biopic of Julius Caesar based on the rarely portrayed events in Plutarch’s Life Of Caesar, not the more commonly dramatized end of Caesar’s life. Described as an “origin story in the vein of Batman Begins”—because even historical figures get comic book-style "origin stories" these days—the drama will be written by Travis Baker and Richard Tanne of the web series Cinema Cool, and will center on an early incident involving Caesar being kidnapped by Cilician pirates, from a small southeastern coastal region of what is now Turkey. Imprisoned on an island, the young Caesar demands his captors raise the ransom on his life to an even 50 silver talents, an enormous prize, before eventually escaping and returning with his army to crush the Cilians. 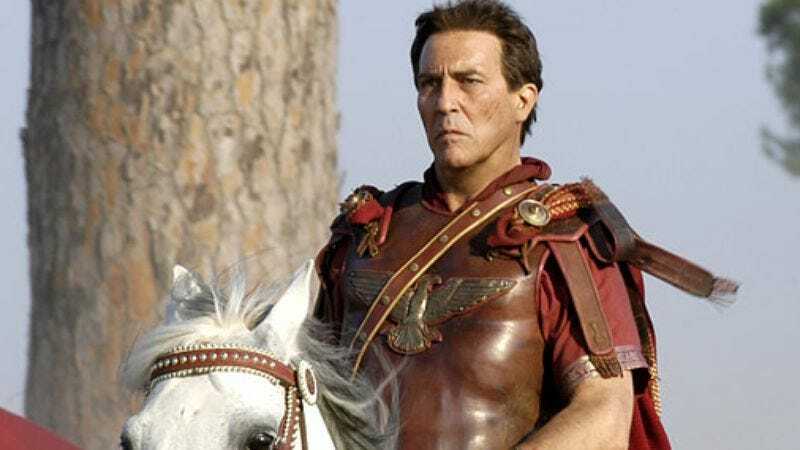 All of this took place before his rise to political dictatorship and, should it prove successful, there are of course many eras of Caesar’s military campaigns to cover in subsequent installments, leading up to the fateful, inevitably disappointing sequel that comes out in mid-March, where a dozen villains get thrown in and kill the franchise.